The Queen will meet US President Donald Trump at Windsor Castle. 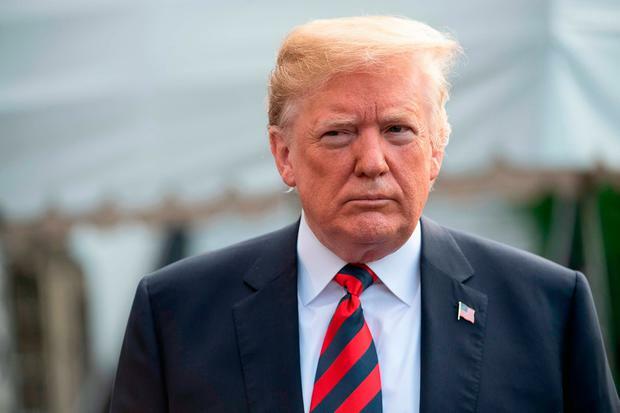 The controversial American leader will be treated to a Guard of Honour when he arrives at the historic royal residence in Berkshire on Friday afternoon. He will also join the monarch for tea in the castle - the Queen's favourite home. Mr Trump spoke of his admiration for the Queen in his interview with the Sun, in which he called her a "tremendous woman". He told the paper: "If you think of it, for so many years she has represented her country, she has really never made a mistake. You don't see, like, anything embarrassing. She is just an incredible woman. "My wife is a tremendous fan of hers. She has got a great and beautiful grace about her." Mr Trump and First Lady Melania Trump will meet Britain's head of state at the dais in the castle's Quadrangle, which features a neatly manicured central lawn. Located in the Upper Ward, it sits with the castle's famous Round Tower to its west, and is surrounded by the impressive state, visitor and private apartments. The 1st Battalion Coldstream Guards is one of the British Army's longest serving units, and its band is one of the oldest and best-known military marching bands in the world. Mr and Mrs Trump will then take tea with the Queen in the castle. In 2008, when then US president George W Bush had tea with the monarch at Windsor, he enjoyed a traditional English afternoon spread of tea, small sandwiches and cakes in the White Drawing Room. The Queen has received three other US Presidents at Windsor Castle since the 1980s - Barack Obama in 2016, Mr Bush in 2008 and Ronald Reagan in 1982. One of the biggest ever police operations is being staged to cover Mr Trump's brief stay in the UK. Mr Trump's royal encounter is not a state visit - an offer that was extended to him by Prime Minister Theresa May in the early days of his presidency. There will be no carriage procession and no opulent state banquet, and Buckingham Palace said no other members of the royal family will call in to Windsor to meet the billionaire-turned-politician. When the then US president Barack Obama dropped in to see the Queen at Windsor Castle in 2016 - the day after her 90th birthday - he and Michelle Obama had lunch with the monarch and the Duke of Edinburgh in the castle's private dining room. Ronald Reagan's visit to Windsor in 1982 was also not a state visit but, unlike Mr Trump, he was hosted with a glittering banquet for 160 guests in the castle's St George's Hall. The Queen wore a tiara, as did the monarch's sister Princess Margaret, to the grand formal white tie occasion, which was also attended by the Prince of Wales. Mr Bush's visit to Windsor was part of his whistle-stop tour to the UK in 2008, five years after his state visit. The monarch also gave Mr Bush and his wife Laura a tour of some of the castle's state apartments, including the restored St George's Hall.